You might have seen Google Chrome OS running on a laptop, desktop, security, and all-in-one, but till date, this operating system was not run on a tablet. But Acer Chrome Book 10 will change everything because it's the Chromebooks first world tablet. The Acer Chromebook 10 has fallen in the field complete with Apple's famous iPod because it's just released a day before the released of the new an cheap iPod. The tab 10 screen is 9.7 and has 2048 x 1536 display, exactly like iPod. The cameras are moving forward and forth and there is a 9-hour powerful battery. It has OPI processor, 4GB of Ram, 32 GB storage and USB port. Location and a headphone jack for micro SD card are also available in this new tab. But what's most important is styling support. Absolutely, like Samsung's Galaxy Note series, Tab 10 also has a small stylish.This is a weekly branded stylish and does not require any battery or extra charge. This tablet of 329$ is as much as Apple's current initial form. At this time, the news is circulation that Apple is about to issue a 259$ iPod, it will have to take 99 dollars separately. It will also have to be changed and managed to be kept separately, while there is no such problem in this new tab 10. Although the tab will be 10 common, its original market will be students. Because Chrome OS is very popular at the moment. It's cheap and also cloud-based. Then it's also capable of running Android apps. 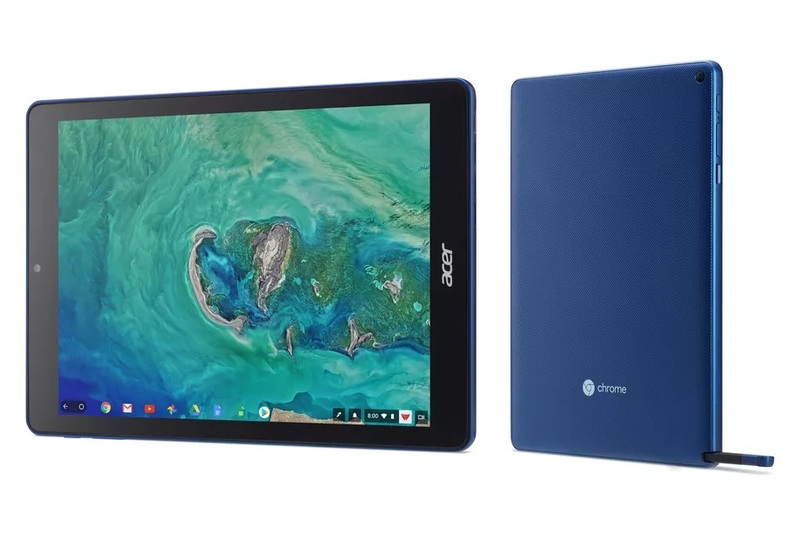 Although the tab is expensive with a 329 dollar price, 10 is more expensive than chrome boxes, but if needed as something like iPad, Acer has presented a good alternative.